Unfortunately, if you are reading this, it is because we are connected by loss. Either someone you love died or someone you know and care about is experiencing grief. We search for clarity in turmoil, and loss is filled with confusion. A deep and painful isolation often occurs with death, and I can personally tell you that grief is not for the faint of heart. In 2007, when I was 33, my husband, Roy, died from advanced adrenal cancer. His death was less than eight weeks after he’d received the diagnosis, even though his blood work was normal. In other words, he was asymptomatic. Although I have a master’s degree in social work, nothing prepared me for the brokenness that my husband’s death imparted to me. 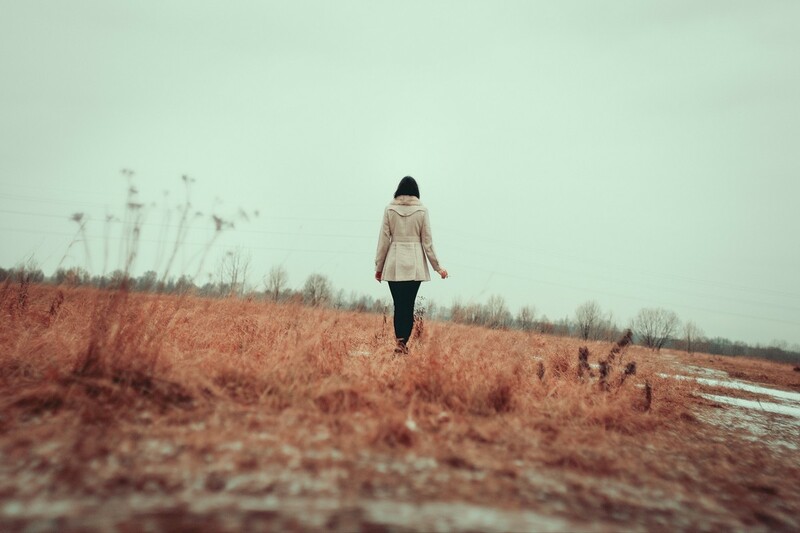 We had no children together, so I was truly alone. The death left me with a longing to understand how widows cope and how they were, if possible, able to transform their loss. The first widow I knew was my mother. My father died in 1979, two weeks shy of my fifth birthday. My father also had cancer, but his illness took place over multiple years and included a remission. For the first three-and-a-half years after Roy died, I read nearly everything about grief and loss that I could get my hands on. This included magazine articles about families coping with loss and academic journal pieces about the physical effects of grief. I read many books, and yet I longed to read more widows’ stories. Grief does make us feel very alone. This is one of the reasons I decided I would interview as many widows as possible and blend their stories together, along with practical advice from experts, into a book. I chose to do this research in narrative form because I was hoping that if another widow could identify with someone in the book, it might take the edge off her loneliness. I spent more than three years listening to widows from all different backgrounds share their experiences with grief. Some widows lost their partners to substance abuse, suicide, and other causes of death, including 9/11, cancer, Alzheimer’s disease, horrific accidents, and heart attacks. I was working full time as a social worker, so I would spend a few evenings a week and some weekends doing this research. The result is the book A Widow’s Guide to Healing: Gentle Support and Advice for the First 5 Years (Sourcebooks, 2015). I learned several things from the widows and others who helped me along this writing journey. One is that no one’s story of grief is exactly the same. Although the cause of death may be similar, a person’s experience with loss is not duplicated anywhere. That is because each of us, for many reasons, responds differently to loss. Each person has a unique relationship with that child, parent, partner, or friend, and when that person is no longer here, how each of us responds will be just as varied as the colors that make up the sky. Another thing that I learned is that there is no finish line for grief. Many believe that one should be over grief within a year or so and then “moving on” is the best way to handle the loss. Grief empties us, and people often rush to fill the void with things or people because sitting alone with the emptiness is uncomfortable. Opening the door to grief is even scarier because, for many, it is easier to suppress it and avoid it at all costs. However, those who do open the door and sit with the emptiness learn more. They understand the loss and themselves at a deeper level. Some do this through psychotherapy, yoga, spiritual work, or meditation. There are multiple ways to reach this emptiness, and this is where transformation often begins to take place. Sit alongside your grief, and understand that it is only the brave who dare to explore this deep journey. Yes, it is easier to fill your schedule with activities and enter into new relationships to avoid your grief than to be present with your loss, but reading pieces like this is part of the exploration. By doing so, you are reaching to learn how to handle things differently—you are being brave. Kristin Meekhof, ESME’s Bereavement Resource Guide, is the coauthor of A Widow’s Guide to Healing: Gentle Support and Advice for the First 5 Years. A licensed social worker and daughter of a Solo Mom, Meekhof became a widow in 2007 when her husband died from cancer.